Dr. Alexander K.C. Leung, a holder of MBBS, DCH(Lond & Irel), FRCPC; FRCP(UK & Irel), FRCPCH, and FAAP degrees, is Clinical Professor of Pediatrics at the University of Calgary, Medical Director at the Asian Medical Centre which is affiliated with the University of Calgary Medical Clinic, and Pediatric Consultant at the Alberta Children’s Hospital. Dr. Leung’s areas of special interest include general and ambulatory care pediatrics. Dr. Leung is the author of over 2700 scientific publications including 337 chapters and 9 books. Dr. Leung has served on the editorial boards of Canadian Journal of Clinical Medicine; Advances in Therapy; Consultant; Consultant for Pediatricians; Canadian Journal of Diagnosis; Recent Patents on Inflammation & Allergy Drug Discovery; Recent Patents on Endocrine, Metabolic, & Immune Drug Discovery; Physician Information and Education Resource (PIER) of the American College of Physicians; Open Pediatric Medicine Journal; Open Journal of Pediatrics; Case Reports in Pediatrics; Current Pediatric Reviews; Canadian Journal of Continuous Medical Education; Frontiers in Child Health and Human Development; Frontiers in Public Health; International Journal of Pediatrics and Child Health; International Open Journal of Clinical Practice; Clinics in Mother and Child Health; Austin Journal of Pediatrics; Pediatrics and Neonatal Care; Journal of Neonatology and Clinical Pediatrics; Pediatrics and Neonatal Biology; Pediatrics and Neonatal Nursing Open Journal; Scientific Reviewer; The Open Access Journal of Science and Technology; Aperito Journal of Dermatology; Journal of Pediatrics & Neonatal Care; International Journal of Pediatric Health Care & Advancements; Peertechz Journal of Pediatric Therapy; Clinical Case Reports and Reviews; SM Journal of Case Reports; SM Journal of Pediatrics; Academic Journal of Pediatrics & Neonatology; and Journal of Dermatological Research. He is the assistant editor of Paediatrics & Child Health; associate editor of the Asian Journal of Clinical Pediatrics and Neonatology; and the section editor of Consultant for Pediatricians; Consultant; and British Journal of Science and Technology. 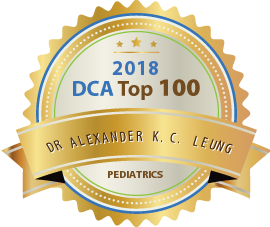 Dr. Leung is the editor of the following books: Common Problems in Ambulatory Pediatrics; Acne: Causes, Treatment and Myths; Food Allergy; and Atopic Dermatitis: A Review for the Primary Care Physician. Dr. Leung has served on many committees, including the Ad Hoc Committee on Playground Safety of the Alberta Medical Association; the Committee on Child Health of the Alberta Medical Association; Breastfeeding Committee for Canada; the Physicians’ Ad Hoc Committee on Education of the Breastfeeding Committee for Canada; the Nutrition Committee of the Canadian Paediatric Society; and the Physician Achievement Review (PAR) Development Committee for the Medical Specialists of the College of Physicians and Surgeons of Alberta. He also serves on the Grant Review Board and Referee Panel, Health and Medical Research Fund, Food and Health Bureau, Hong Kong SAR. He is a founding council member of the Hong Kong Paediatric and Adolescent Dermatology Society. Dr. Leung is a respected member of the pediatric and pediatric dermatology community. He has helped foster the growth of local and international knowledge and academics in the field of pediatric dermatology. I have known Dr. Alex Leung for over 40 years. He is the most diligent doctor I have known with prolific publications in world wide medical journals. A highly skilled diagnostician, extremely knowledgeable, strong clinical skills. Well liked by his patients. Able to see new consults quickly and communicates with referring physician in a timely manner. All in all an excellent clinician and highly professional. I have known Dr Leung for around 40 years. He has always been a very devoted, innovative and ambitious Pediatrician. I worked with him on several reports which were published in the medical literature – the topics of the reports have been very practical and clinically useful. His work in continuing medical education exceeds that of most of his peer group in both volume and quality. I am pleased to be able to add my reference to this effort. Dr. Leung exemplifies the best in a practitioner of the art and science of medicine. His academic credentials are well described. I have the privilege of working with him and am always amazed at his clinical ability to make a spot diagnosis. He is well deserving of a Doctors’ Choice Award. Dr. Leung is a well-respected clinician, research, leader, educator, and role model in our medical community. He has authored countless articles that have helped to advance our field. His undying love for medical field is unparalleled, not to mention his contribution in our community. Despite his active role as one of the top leaders in our community, Dr. Leung continues devote his time in providing excellent patient care as it is well know that Dr. Leung’s patients adore him. Thank you for being our role model! Dr. Alexander Leung is my classmate in secondary and medical schools. He was very keen in the pursuit of medical knowledge, empathetic and helpful to his patients, passionate and persistent to achieve his goal. After internship in Hong Kong, he moved to Calgary where he practised as a pediatrician and gained respects from his patients. He also did research and gave tuition and lectures to medical students and worked hard to achieve his aspiration as the clinical Professor of Paediatrics in the University of Calgary. Dr. Alexander Leung has a wealth of experience. He is very knowledgeable and dedicated to his profession. He does extensive medical writing and editing, and even shares his expertise overseas. He also finds time to take care of a very busy practice in Canada. 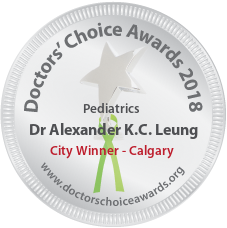 Dr Alexander Leung has always been a caring and dedicated doctor with patients at the top of his agenda, followed by teaching and contributing to medical knowldege. He is certainly a doctor of choice for his many patients. Dr Alex Leung is a devoted physician who dedicated to focus on patient care. He is always willing to accommodate patients and helping fellow physicians. Though many years in practice, he is polite and kind. It was a privilege working with him! Dr. Alexander Leung is an excellent physician and inspiring mentor. He goes out of his way to guide me through difficult cases. He is a great resource to us all. Dr. Alex KC Leung is an excellent clinician who delivers the utmost in care to his patients. Additionally, he is one of most prolific writers of medical reports that I know. He is truly a model academic clinician who shines above others. 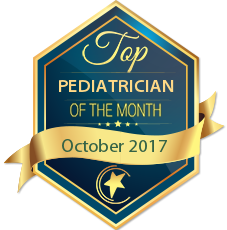 DR. Leung is a very knowledgeable pediatrician who tirelessly works to improve himself and the delivery of care of children. He is a great educator and is well respected by his colleagues and patients. Dr Alex Leung is dedicated to research and and medical writing. He works hard to keep up to date with all recent researchers. He is also dedicated to patient care. I know Dr Alexander Leung for over 50 years. He is a diligent, polite, intellgent and courteus person. His knowledge in medicine especially in paediatrics is excellent. He is the author of many papers and editor of some well known journals. He always take care of his patients both physically and mentally. He communicate well with the children and their parents. He has contributed greatly to the society. Dr. Alexander Leung has been a tremendous physician, teacher and colleague. 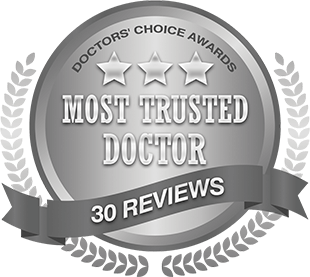 I have heard numerous praises regarding Dr. Leung from patients. Dr. Leung has always been willing to take time to help, share his knowledge and teach his colleagues. He has been enhancing our knowledge with his clinical experiences. Dr. Leung is a deserving candidate for this prestigious award. I have know Prof. Leung for years and he has been very active in our paediatric field, especially in pediatric dermatology. He has published extensively on eczema, in both major medical journals and international textbooks. He has been a key participants in many international pediatric and dermatology associations. Not only this, his contribution has spreaded to different continents and he has become the founding council member of the Hong Kong Paediatric and Adolescent Dermatology Society. Above all his achievements, it is his passion which impresses all of us most, from career development to academic achievements. It is our honour to write and contribute to his journey towards the Doctors’ Choice Award. I have had the privilege of working with Dr Leung, a leader in the field of medicine and pediatrics. His dedication to medicine is second to none. He is responsible for an absolutely astonishing number of publications and contributions. Dr Leung’s commitment to the medical community both locally and internationally though his various advisory roles and committees is exceptional. His commitment has resulted in an unprecedented number of awards and accolades throughout his career. Nevertheless, the quality I most admire most in Dr Leung is his kindness, humility and compassion to the human condition on an individual and global level. He has always shown the upmost dedication and commitment to his patients and his tutorage has always been kind and fair. It is with great enthusiasm I recommend this award be gifted to him. Alex is an excellent pediatrician and his academic performance is an inspiration to us all. Prof. Alex Leung is a prolific author and conscientious reviewer, contributing numerous publications to international journals and textbooks. His writings are all practical and authentic for paediatric and family practice. He is also a kind and humble teacher who selfishlessly deliver his wisdom and knowledge to students at any possible occasions. On top of all these, he is an astute clinician of great acumen to serve patients and their families with unsurpassed empathy and humility. He is a workaholic, sacrificing most of his time in academic endeavours and leaving family and friends little leisure time to spend together. As his classmate, friend and colleague, I cannot find more appropriate words to describe his distinguished successes and achievements. Without any hesitation, I vote him for this award which he truly deserves. 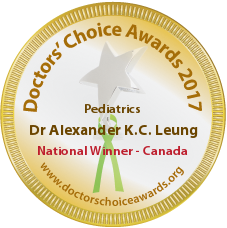 Dr. Alexander Leung is an excellent physician with outstanding devotion to his patients and their families. I had the privilege to be under his mentorship early in my training and he truly serves as a role model in providing medical education to the next generation of physicians. I have yet to meet another physician with such clinical acumen. Outside of the clinic, the quality and quantity of his publications speaks volumes for his dedication and passion to the field of medicine. Dr. Leung was my doctor during childhood and has been an ongoing inspiration to myself, many colleagues and essentially every patient that enters his office to strive to be the best version of themselves that they can be. Dr. Leung is a true encyclopedia of medical knowledge and is someone who understands the intricacies of the human condition and shows compassion and empathy for all from different walks of life. He is by far the most accomplished and accredited physician I know and has written what must be a world record number of journal publications, photo quizzes, chapters and has even authored a comprehensive 4 volume ambulatory pediatrics textbook. Throughout his career and to this day, he continues to volunteer his spare time and energy to sit on many prestigious journal boards and committees helping to further the field with his expertise and knowledge. Despite his awe-inspiring and incredible accolades, he is very humble, approachable and always willing to help out in any way he can. Dr. Leung in my humble opinion is a blessing not just to the medical community but especially to the community that he serves and I am honoured and privileged to be of his acquaintance. I cannot think of any other more deserving doctor for this award! Professor Leung is an excellent writer and scholar with many publications. A knowledgeable clinician. Dr. Alexander Leung (no relation) mentored me from early in my career as an Academic Paediatrician. Clinically, he is truly a “Doctors’ Doctor”; someone you can call and reliably ask to aid with diagnosis and management of challenging cases. Academically, he supported me with my first publications, and remains a tremendous role model for the hard work, and genuine passion required to succeed. He is inspirational in forging an academic component to General and Ambulatory Paediatrics. I am privileged to be able to work with Prof Leung in the council of the Hong Kong Paediatric and Adolescent Dermatology Society. I am impressed about his commitment not only as a clinical paediatrician, but also contributing lots in teaching, clinical research and promotion of child health. I learned much from many of his publications in paediatric dermatology and wide areas of other paediatric topics. I have known Dr. Alexander Leung for 15 years. As his student years ago and then later his colleague, we had multiple opportunities to working together clinically and academically. Not only is he a very skillful clinician and a compassionate pediatrician, he is also a highly accomplished medical author and trusted teacher of medical advances. Prof Leung is all-round an excellent physiciain. His enthusiasm is “infectious” and influences the academic and clinical development of many colleagues. As an academician, he has published countless medical and scientific articles, and I have the honor of being invited to be one of his co-author. Dr. Alexander Leung is my father and encouraged me to go into medicine too. He has been very supportive of me. I’ve known Alex for my entire professional career and together we have authored about 500 articles. He is driven to excel as a clinician and as an educator. I have served as an academic paediatrician in three countries and have met many of the foremost paediatricians of my generation. Alex’s clinical acumen is second to none. He knows paediatric medicine. If the number of publications in a peer-reviewed journal is the marker of success in the academic paediatric world, then for my generation, Alex is at the pinnacle of his profession. 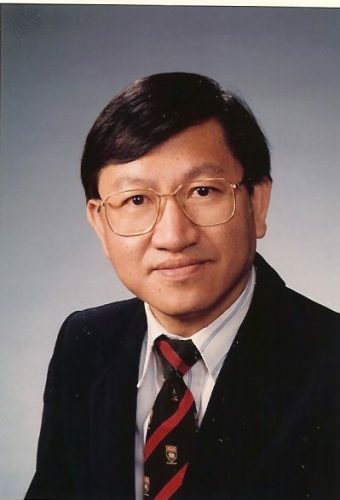 Dr. Alexander Leung is a renowned pediatrician and clinician, as well as academician having published countless medical and scientific articles, as well as actively engaged on numerous editorial boards of medical journals and medical societies. I have co-authored many dermatology related articles and cases with him and have enjoyed working with him; his professionalism, dedication, and focus are impressive.